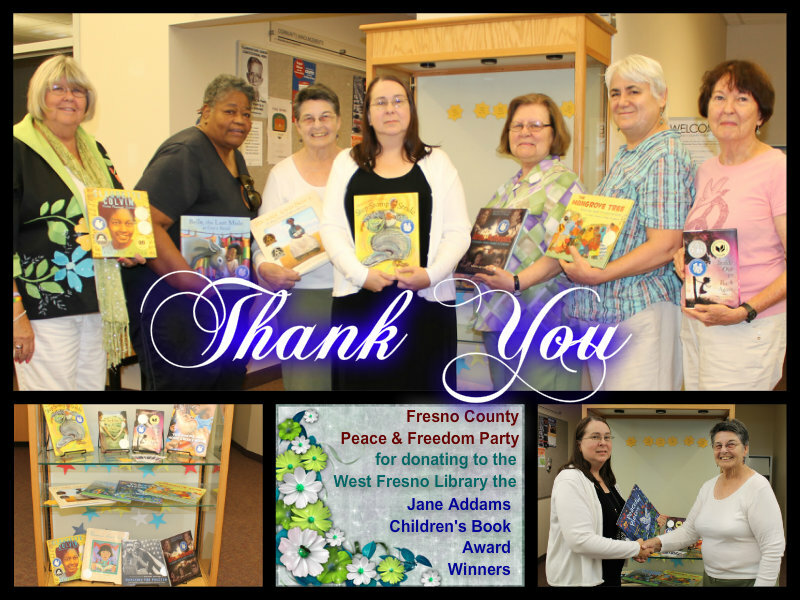 A big thank you to our friends at the Fresno County Peace & Freedom Party, who annually donate the Jane Addams Children's Book Award winners. 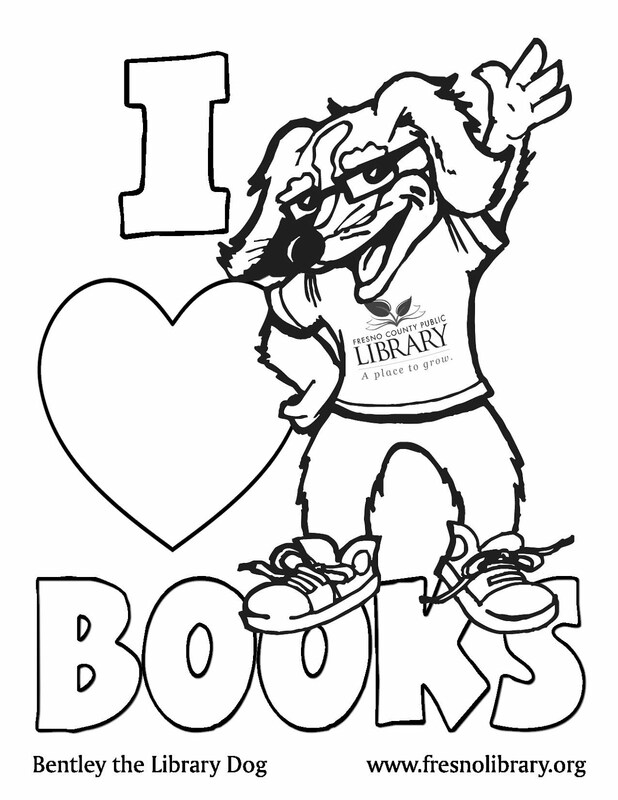 This year, the winning books were donated to our West Fresno branch library. 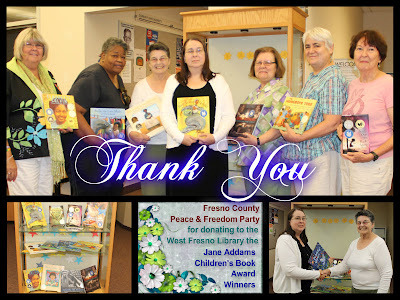 Read more about or request a Jane Addams winner. Learn more about the Jane Addams award.